The first Thursday of every month, admission to the Seattle Art Museum is free. Being a cheap sketcher, I took advantage of the opportunity. 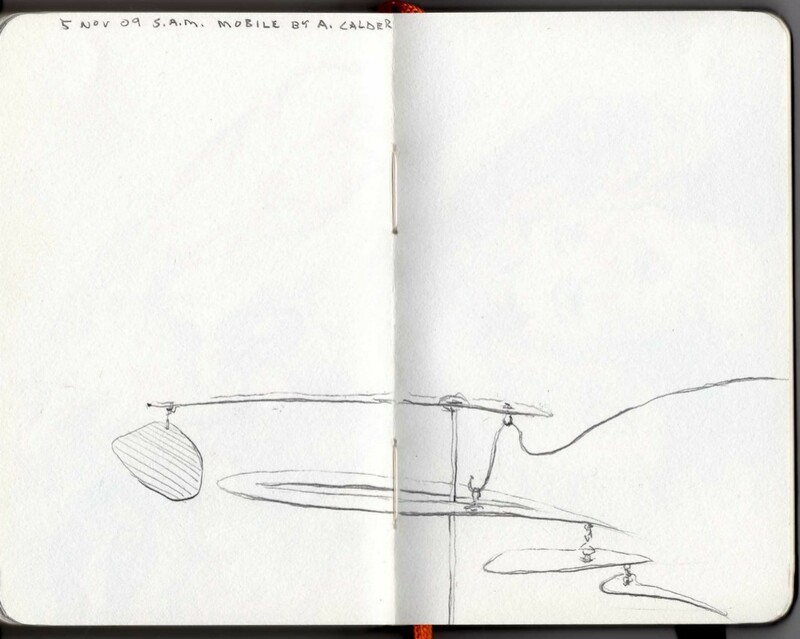 There were two special exhibits- old drawings by an Italian guy, and mobiles by Calder. Much to my surprise, admission to them was free also! They don't let you bring anything other than dry media into the gallery, so my trusty pens and watercolors stayed home and I had to struggle along with some colored pencils. It was pretty crowded, and the drawings were very small, but with patience I was eventually able to work myself up close enough to see to work without blocking other people's view. At least I think I wasn't. Nobody kicked me anyway... I've read that when you are copying a master's work, you are trying to channel a tiny bit of their spirit. I don't know about that, but if Michelangelo was looking over my shoulder at all he was probably just ticked off that his workers hadn't burned these sketches like he told them to. 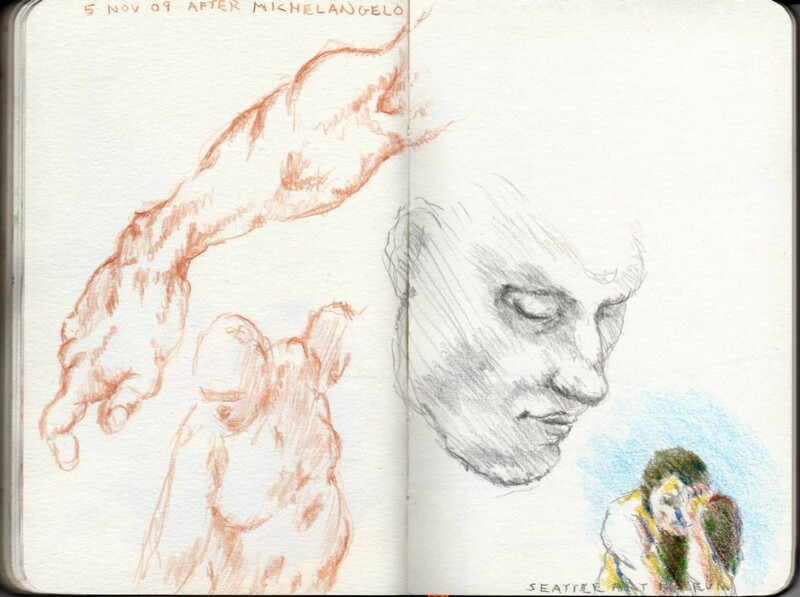 If you do a drawing of a sculpture, is it still called a copy? One of my favorite pieces in the regular collection, by Robert Henri. I wish they would let us bring our oil paints in, so someone could do these works justice. thank you for "struggling along," Tim, these are wonderful and a great reminder of the exhibits! I must second Beth's comment! It is wonderful to see your impressions of these treasures. I completely agree that you partake of the spirit of the original maker as you recreate his marks, and you add your own spirit too. Bravo!